OTTAWA - Cross-border shoppers will be able to bring back more duty-free goods under new budget measures announced Thursday. As of June 1, travellers coming back after 24 hours away will be able to bring in $200 worth of goods free of duty or taxes, an increase from just $50. People gone more than 48 hours will be allowed $800 in duty-free goods, double the present $400 allowance. There is no longer any specified seven-day limit on duty-free purchases. 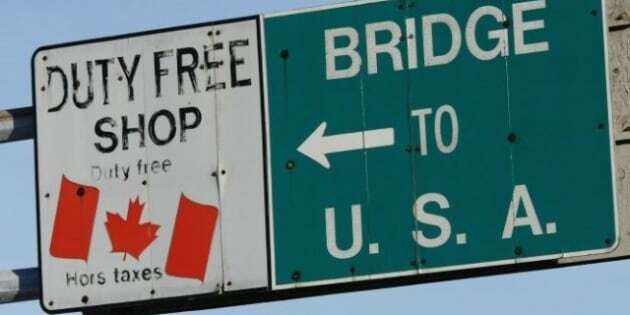 The changes are designed to harmonize levels with those of the United States, and will streamline the border-crossing process. The budget estimated that the higher limits will cost the government $13 million in this fiscal year and $17 million in the full 2013-14 fiscal year.